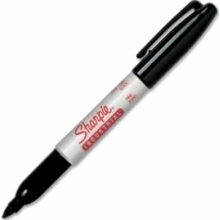 Sharpie Fine Tip Industrial Marker. Perfect for marking locations and IDs on 3M decals and more. Sold Individually.